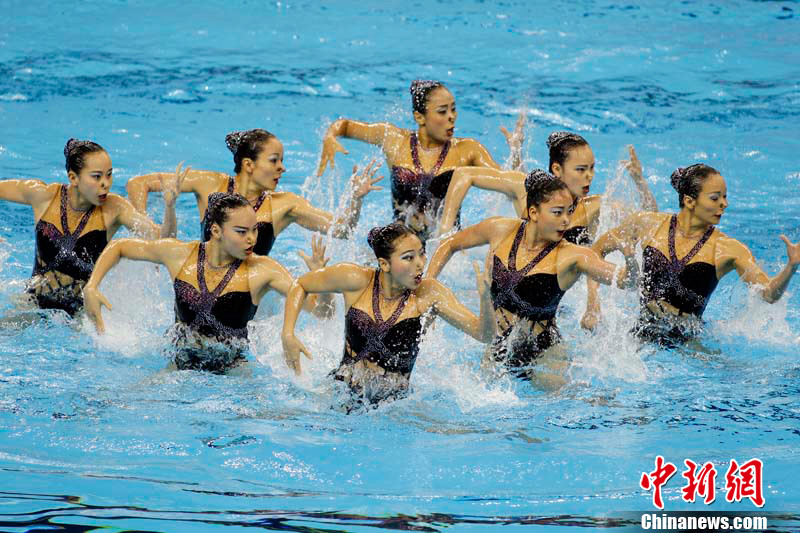 The 14th bi-annual FINA World Swimming Championship competition has been up and running for a week now in Shanghai, here are some photos from amazing synchronized swimming. While the first initial heats were won by Team Russia, the real winner of the event is clearly the nose plug industry. There are still two nights of synchronized swimming left. This entry was posted in Chinese Sports. Bookmark the permalink.